Nesnelerin İnterneti (IoT) makine ve cihazların birbirleriyle her yerde ve her zaman internet üzerinden birbirleriyle bağlantılı ve etkileşimli olduğu, hızla gelişmekte olan göz alıcı bir teknolojidir. Şehir yönetiminden akıllı binalara, sağlık sektöründen sanayiye, enerjiden tarıma vb. birçok alanda avantajlar, kolaylıklar ve verimlilik sağlayan bu teknoloji, güvenlik açısından da birçok zorluğu beraberinde getirmiştir. IoT, kaynak kısıtlamaları, çeşitlilik, standardizasyon eksikliği, mobilite, mimari vb. nedenlerden kaynaklanan zorluklardan dolayı çeşitli saldırılara, arızalara ve kötüye kullanıma açıktır.Bu makalede, IoT siber güvenlik sorunları açısından en son ve en gelişmiş fikirleri sunuyoruz. IoT güvenliği açısından tehditleri, güvenlik açıkları ve önlemleri içeren bir karşılaştırma sağlıyoruz. Birçok siber güvenlik sorunu için tedbirler ve önlemler konusunda bazı öneriler veriyoruz. Internet of Things (IoT) is rapidly developing and glamorous technology in which machines and devices are connected and interacted with each other via Internet anywhere anytime. This technology, which brings advantages, facilities and efficiency in many areas from city management to smart buildings, from health-care to industry, from energy to agriculture, etc. has also brought along numerous challenges in terms of security. IoT is vulnerable to various types of attacks, malfunctions and misuses due to these challenges reasoning such as resource limitations, heterogeneity, lack of standardization, mobility, architecture. In this paper, we present the state of the art for cyber security issues in IoT. We provide a comparison for IoT security in different perspectives including threats, vulnerabilities and some countermeasures. We give some recommendations on the precautions and countermeasures for cyber security issues in IoT. Stergiou, C., Psannis, K.E., Kim, B.,Gupta, B., (2018). Secure integration of IoT and Cloud Computing. Future Generation Computer Systems, 78, 964–975. Khan, M.A., Salah, K., (2018). IoT security: Review, blockchain solutions, and open challenges. Future Generation Computer Systems, 82, 395–411. Panetta, K. (03.11.2017). Gartner Top Strategic Predictions for 2018 and Beyond. Retrieved from (https://www.gartner.com/smarterwithgartner/gartner-top-strategic-predictions-for-2018-and-beyond/), on (02.11.2018). Sfar, A.R., Natalizio E., Challal, Y., Chtourou, Z., (2018). A roadmap for security challenges in the Internet of Things. Digital Communications and Networks, 4, 118–137. ˇColakovi ´c, A., Hadžiali ´c, M., (2018). Internet of Things (IoT): A review of enabling technologies, challenges, and open research issues. Computer Networks, 144, 17–39. Jaychand, Behar N., (2017). A Survey on IoT Security Threats and Solutions. International Journal of Innovative Research in Computer and Communication Engineering, Vol. 5, Issue 3. Kouicem, D.E., Bouabdallah, A., Lakhlef, H., (2018). Internet of things security: A top-down survey. Computer Networks, 141, 199–221. Ülker, M., Canbay, Y. Sağıroğlu, Ş., (2017). Examination of Internet of Things in Terms of Personal, Enterprise and National Information Security. Journal of Turkey Informatics Foundation of Computer Science and Engineering, 10. Xu, L.D., Li, S., (2017). Securing the Internet of Things. Syngress. Conti, M., Dehghantanha, A., Franke, K., Watson, S., (2018). Internet of Things security and forensics: Challenges and opportunities. Future Generation Computer Systems, 78 544–546. Shovic J.C., (2016). Raspberry Pi IoT Projects, Apress.Rayome, A.D. (21.03.2018). As IoT attacks increase 600% in one year, businesses need to up their security. Retrieved from ( https://www.techrepublic.com/article/as-iot-attacks-increase-600-in-one-year-businesses-need-to-up-their-security/), on (26.09.2018) Denial-of-Service Attack (DoS). Retrieved from (https://www.techopedia.com/definition/24841/denial-of-service-attack-dos), on (02.11.2018) What is a DDoS Attack . Retrieved from (https://www.cloudflare.com/learning/ddos/what-is-a-ddos-attack/), on (03.11.2018). What is Malicious Code?. Retrieved from ( https://www.kaspersky.com/resource-center/definitions/malicious-code), on (03.11.2018). Eavesdropping. Retrieved from (https://www.techopedia.com/definition/13612/eavesdropping), on (03.11.2018). What is a Smurf Attack?. Retrieved from (https://usa.kaspersky.com/resource-center/definitions/smurf-attack), on (04.11.2018). Spoofing. Retrieved from (https://www.techopedia.com/definition/5398/spoofing), on (07.11.2018)  Riahi, A., Natalizio, E., (2014). A systemic and cognitive approach for IoT security. International Conference on Computing, Networking and Communications. Cha, S., Baek, S., Kang, S., Kim, S., (2018). Security Evaluation Framework for Military IoT Devices. Security and Communication Networks, Volume 2018, Article ID 6135845,12 Pages. Alabaa, F.A., Othmana, M., Hashema, I.A.T., Alotaibib, F., (2017). Internet of Things security: A survey, Journal of Network and Computer Applications, 88, 10-28. How to Overcome IoT Security Concerns, (May,2017). A report in the IoT. InfoBrief Series, Sponsored by Bell. Sedrati, A., Mezrioui, A., (2018). A Survey of Security Challenges in Internet of Things. 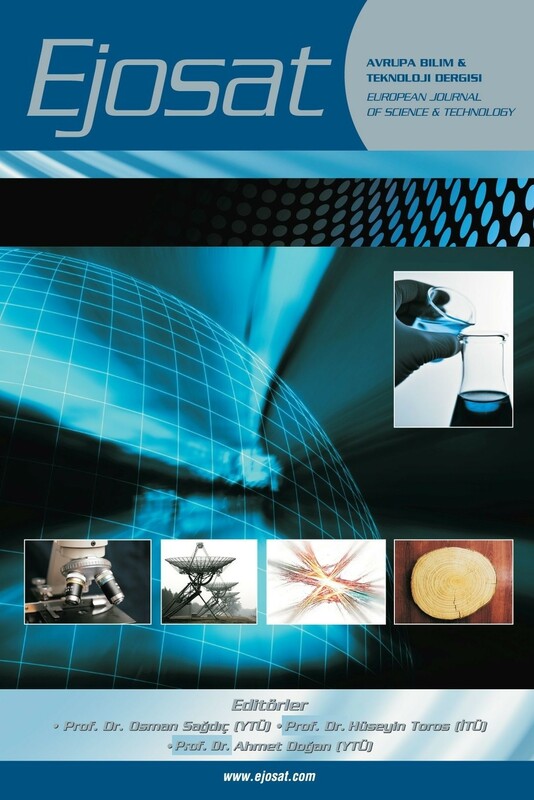 Advances in Science, Technology and Engineering Systems Journal Vol. 3, No. 1, 274-280. Gündüz, M.Z., Daş, R., (2018). Internet of things (IoT): Evolution, components and application fields. Pamukkale University Journal of Engineering Sciences, 24(2), 327-335. Munson, L. (29.05.2011) DoS vs DDoS-What is the difference. Retrieved from (http://www.security-faqs.com/dos-vs-ddos-what-is-the-difference.html), on (04.11.2018).